Most of Kerala Wildlife Sanctuaries are located in the forests of Western Ghats mountain ranges. Many visitors conveniently tie up Sanctuary visits to their hill station stays. More than a quarter of land area of Kerala is covered with forests. So, it is hard to have a Kerala visit, without some touch of wildlife. In a land where coconut is the king, about 10,000 species of plant life take up varying roles in creating groves, plantations and dense evergreen forests. No wonder, this land of Ayurveda, discovers within itself, about 900 local plants as medicinal. Home to about 102 species of mammals, 476 species of birds, 202 species of freshwater fish, 169 species of reptiles and 89 species of amphibians, Kerala is as bio diverse as it can get. Five National Parks besides a dozen plus wildlife sanctuaries provide ample scope for sighting rare and diverse animals in natural habitat. 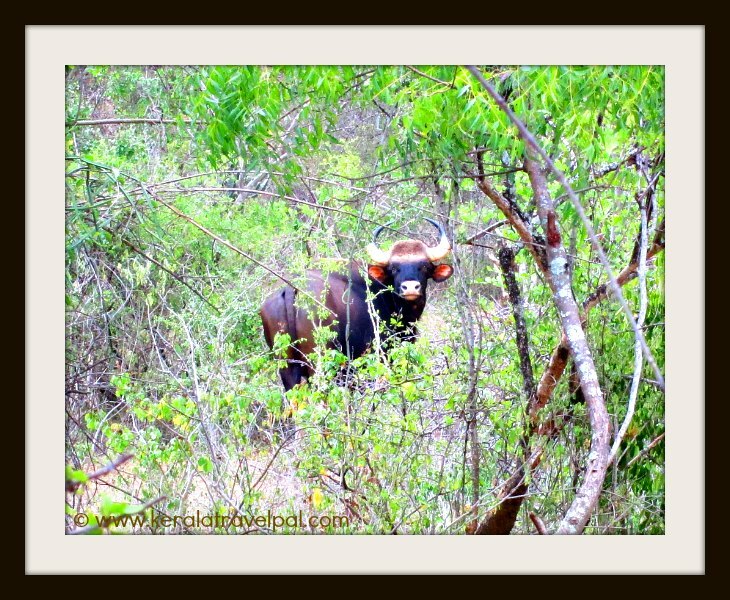 Together they take up about 2250 sq km, or 24 percent of the total forest area of Kerala. Some sanctuaries share boundaries with others forming contiguous areas of protected biospheres. For example Chinnar Wildlife Sanctuary joins with Eravikulam National Park, Indira Gandhi and Kodaikanal Wildlife Sanctuaries. Together they form a notable protected area spanning Kerala and Tamil Nadu. Animals migrate between these forests. For example, elephant herds move in between them depending on the availability of water. Of the several endemic and endangered species found in Wildlife Sanctuaries in Kerala, Nilgiri Thar and Lion-tailed Macaque are commonly mentioned. Did you know Atlas Moth seen here is the largest moth in the world? Rich butterfly population include some rare ones such as the Travancore Evening Brown. A not so welcoming host in any Kerala Wildlife Reserve is the King Cobra, the highly poisonous king of snakes. Animals sighted in Kerala Wildlife Sanctuaries include elephants, tigers, leopards, gaur, sambar, deer, wild dogs, jungle cats, wild boars, sloth bears, bison, and a lot more other species. Seen among twigs, trees and wet grounds are reptiles such as Cobras, Vipers, kraits, several other snakes, bicoloured frogs, crocodiles, star tortoises, skunks, cane turtles, geckoes, chameleons and plenty more. 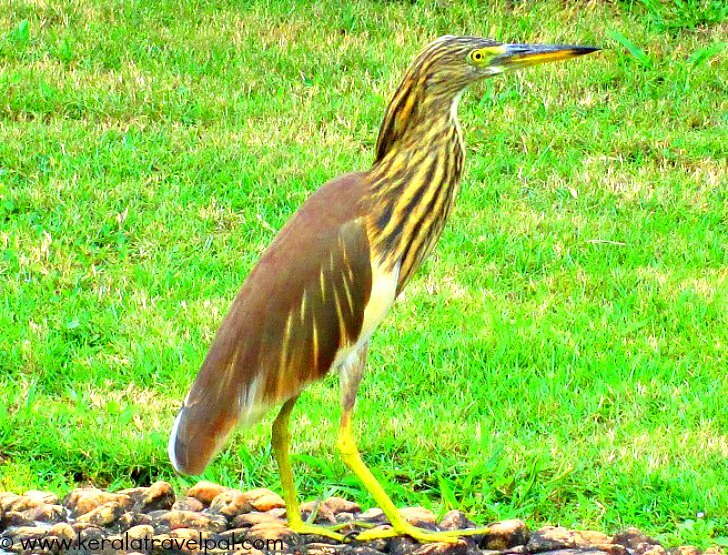 Bird enthusiasts flocking to bird havens such as Thatteked Sanctuary are delighted to spot cuckoos, egrets, herons, water ducks, water fowls, kingfishers, hornbills, migratory Siberian ducks, jungle fowls, cormorants, black bulbuls, peacocks, pea fowls, woodpeckers, storks, raptors, darters, grackles and hundreds more of local and migrating birds. Animals may appear varied, but what is without any variation is - stretching your cameras and binoculars to their maximum use. Kerala Wildlife Sanctuaries are engaging places where visitors get busy with a range of activities- boat riding, canoeing, bamboo rafting, butterfly walks, jungle safaris, trekking, bird watching, orchid trail walks and more. Some Sanctuaries provide accommodation facilities such as huts, cottages and tree houses. A limited few places offer camping facilities. Discussing about Kerala Wildlife Sanctuaries is incomplete without a mention about tribal people.For thousands of years, they called these woods home and adopted their own way of life. There are many races of tribal people. Some of them are associated with Wildlife Sanctuaries and provide guide service and other help. Here is a list of prominent Wildlife Sanctuaries and National Parks in Kerala. Click on the links to read more about each one.